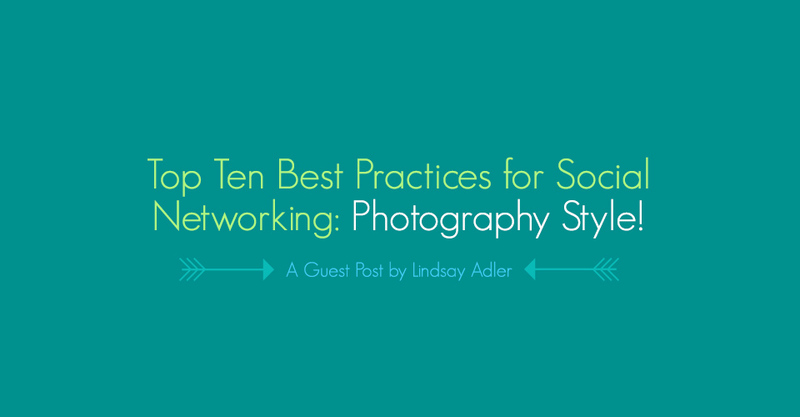 Social networking has been a key element of many photographers’ marketing strategies. We all know that Facebook, Pinterest, and Twitter have the potential to help build our brands and find new clients. Yet, as with any marketing, if you just ‘wing it’ and hope for the best, you are not being efficient and effective in your efforts. This year at WPPI I will be presenting at the Millers Booth on Tuesday from 12:30-1:15 about the Top Ten Best Practices for Social Networking. This will help you develop a new media marketing strategy so that you can reach your target audience quickly and go back to focusing on photography! You DEFINITELY should stop by the Miller’s booth not just to learn, not just to check out their incredible products, not just to say hi to me, but also because I will be giving away my Social Networking Essentials DVD to the first 100 attendees to my class. That is a $79 value to the first 100 people to scoop them up! For those of you who will not be at WPPI or won’t be able to stop by, here is a little bit of what we will be talking about. While this is a rough overview, in my booth presentation I will give you lots of great concrete examples to apply to your business! How many social networks do you REALLY need to be on? Three? Five? All of them? The answer could really be just ONE. As with most thing in life, quality trumps quantity. Being on ten different social networks will do you no good unless you truly interact and engage with your target audience on these networks. Simply having a profile or posting images once in awhile is not enough. Think of social networking like photographer Chase Jarvis has suggested; a 24/7 international cocktail party. If you stand in the corner by yourself, you gain nothing. Those who advance and gain clients at these ‘parties’ do so by engaging, conversation, and by being active… not by attending as many parties as possible or keeping to themselves. As soon as you can, clearly define your brand and key message. What do you want your target audience to know about you and what makes you different from the competition? What specific words do you want to come to mind when they think of your business? Write this down in a succinct sentence or two. This message should be consistent across all of your social networks and platforms. You can’t possibly know how to make the most of social networking if you have not clearly defined your target audience. This is true with all marketing. Make a list of your target audience(s), and the try to define them clearly… the more details the better because this will help you with Number 4! Once you have determined your target audience you should ask yourself, where can you find them online? What blogs or websites do they visit? Which social networks are they on? How do they prefer to engage online? Go ahead and make a list of 10 places you might find your target audience online. This will give you an idea of how to start getting creative to get your brand and images in front of this audience. For example, let’s say you are targeting engaged women in your area as they plan their weddings. You can find them on wedding forums, wedding vendors Facebook pages, Pinterest, wedding publications blogs and Facebook pages, and many other places. Get creative and start making some lists of where you can catch their eyes! What useful content can you create for your target audience? How can you capture their attention? You want to become a resource for your potential clients so they keep coming back to your blog or social networks. Furthermore, this useful information encourages others to share links on your sites and spread the word of your business. Useful content becomes your calling card and captures the attention of your target client. What counts as useful content? For brides this could be “How to Look Your Best of Your Wedding Day: Posing Tips for Brides”, “5 Great Locations in Your City for Engagement Shoots”, and other articles related to weddings in your area. Search Engine Optimization (SEO) is how you make your online presence friendly to Google and other search engines. This is how people search desired key words and find your name and business. SEO is a complicated art and science, but there are a few good places to start to improve your SEO. First, make a list of 5-10 key words you want associated with your business. Use these words often. Use them in captions, on your blog, Pinterest and more. Next, be sure to use links. Get other sites to link into you and link out to other sites when appropriate. Analytics help you determine which of your social networking efforts have been most effective. Many the social networking platforms have detailed analytics to help you gauge your success: Facebook, Twitter, Flickr and many more. Studying these analytics show you your strengths, weaknesses, and successes. Unless you integrate social networking into your business schedule and workflow, it will fall to the wayside. Instead, set specific times and goals for social networking so it becomes part of your everyday practices. If all you do online is talk about discounts, special offers, and advertising content, then no one will be engaged with your work or brand. Instead, be personable! Tell stories, engage with your target audience, ask questions, and find ways to help them relate to you and the power of the images you create. Blogs are great platforms to achieve many of your social networking goals. They allow you to show your personality, update regularly, improve your SEO, and much more. If you have a blog, aim to post once a week to engage your audience and develop yourself as a resource! Learn more from Lindsay during her presentation in Miller’s booth 711 at WPPI on 3/4 at 12:30 p.m. If you’re interested in viewing more of Lindsay’s work, check out her Facebook, Blog, Twitter and Instagram.